“Ecommerce Product Releases” is our twice-monthly rundown of new products, services, and collaborations that could assist merchants. In this installment, we’ve included updates on shoppable tags, digital training, product research for Amazon, buying event tickets, and ordering ahead. Facebook offers digital marketing training for small businesses. Facebook will expand its digital training program, Facebook Community Boost, to visit 50 U.S. cities by the end of 2018. Facebook also plans to establish new local partnerships, which includes teaming up with 20 community colleges to offer digital marketing training. 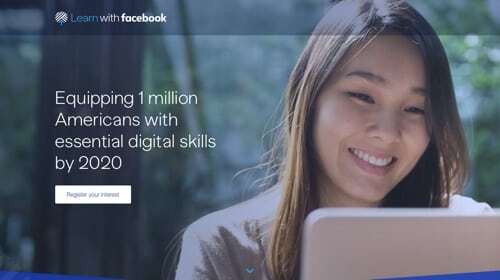 And, in addition to its Blueprint e-learning platform, Facebook will launch Learn with Facebook, a free online training resource to equip people with the skills they need to grow and become drivers of their local economies. U.S. residents can sign up to be alerted when the platform is live. Instagram adds shopping tags into Stories. Instagram is adding shoppable tags to Stories. Followers can choose a shopping bag sticker in a Story to get more details on the item, including how to purchase. Instagram started testing the feature in 2016 with 20 partners. Retailers can now tag and link directly to products showcased in their Instagram Stories. Brands utilizing the tagging service include Adidas, Aritzia, The Kooples, and Luis Vuitton. Apple Pay tests ordering ahead. At the BottleRock music festival near San Francisco, Apple tested its “order ahead with Apple Pay” feature to help concert-goers avoid waiting in line for a beer. Users open the festival’s app, select the closest concession stand, choose drinks, and activate Apple Pay with face or fingerprint. Users can then pick up the beverages at a dedicated window with no queue. Snapchat integrates with SeatGeek for ticket buying. 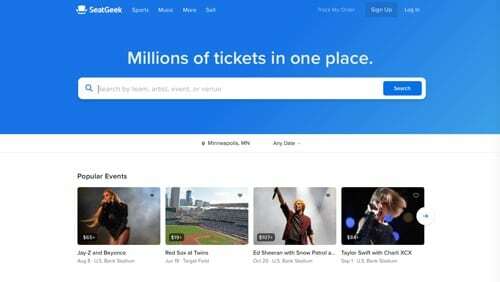 SeatGeek, a New York-based search engine for tickets, is working with Snap Inc. to let users purchase tickets through the Snapchat app. Events ticketed by SeatGeek can be added to Snapchat Stories. Snapchat users simply swipe up, choose their seats, and check out. The integration also allows individual athletes and performers to sell tickets directly to their fans. BQool launches BigTracker, product research software for Amazon. BQool, a provider of Amazon selling tools, has launched Big Tracker, a product-research and analytics tool for Amazon. Users can set email alerts to stay updated and react faster to the latest information. BigTracker can help find products to sell, estimate profit, monitor competitors, and much more. Rakuten acquires Curbside. Rakuten announced that it has acquired Curbside, a Palo Alto-based mobile order technology. Curbside powers ecommerce for brick-and-mortar stores, providing customers with an immediate, convenient way to shop. Curbside streamlines order fulfillment and enables merchants to scale their order-ahead programs and deliver products to customers when they’re ready for them. Curbside’s predictive arrival technology already powers mobile order ahead for store pickup and home delivery for millions of consumers in the United States. Splitit announces new payment integration with Salesforce Commerce Cloud. 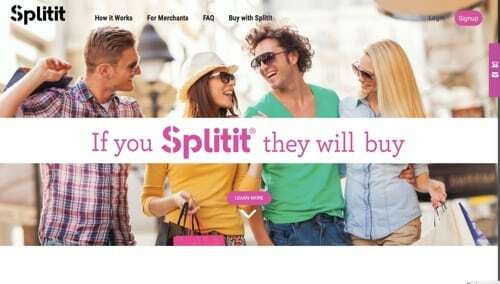 Splitit, a credit card monthly payment service, has launched the integration of its payment tool with Salesforce Commerce Cloud, which enables brands to provide personalized experiences for shoppers across web, mobile, social, and in-store. With Splitit now integrated with Commerce Cloud, merchants will be able to offer installment plans with zero percent interest to their shoppers directly at checkout. Splitit works on existing Visa and MasterCard credit cards, so shoppers enjoy all of their regular credit card benefits such as points, cash-back, and miles. eBay launches eBay Bullion Buyback Program. eBay has teamed up with APMEX, a precious metals retailer, to launch the eBay Bullion Buyback Program. APMEX will provide a competitive quote for items based on the spot price of the precious metal. Once the seller accepts the offer, APMEX will authenticate the bullion, pay out the seller, and relist the items on eBay. BigCommerce announces BigCommerce for WordPress. BigCommerce has announced BigCommerce for WordPress, a full-featured integration that combines the flexibility of the WordPress platform with BigCommerce’s robust commerce engine. Additionally, BigCommerce unveiled a new, API-driven commerce-as-a-service initiative during the Internet Retailer Conference and Expo. The new service will allow brands to deliver commerce experiences through custom and commercial content management systems while centrally managing catalog, customer, and order data through BigCommerce. Rue La La is buying Gilt. Saks Fifth Avenue owner Hudson’s Bay Co. has agreed to sell Gilt, a flash-sale ecommerce company that it purchased two years ago, to Rue La La, the member-based fashion retailer. Rue La La plans to run the two sites independently and hire 150 people. The purchase price was not disclosed. 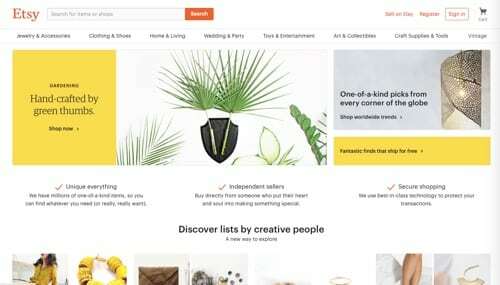 Etsy introduces new tools and packages for sellers, revises transaction fee structure. Etsy has announced new subscription packages and enhanced tools to support global sellers at different stages of growth. Etsy also announced that it is revising its seller transaction fee. Starting in mid-July, sellers looking to jump-start their growth can opt into Etsy Plus for an introductory rate of $10 per month. In 2019, Etsy plans to roll out Etsy Premium, which will be geared towards larger, more established creative businesses. Sellers who do not opt into Etsy Plus or Etsy Premium will have access to the same tools and services that are currently available on Etsy, without an additional monthly fee, as part of Etsy Standard. Is Text Messaging a Game-changer for Ecommerce?